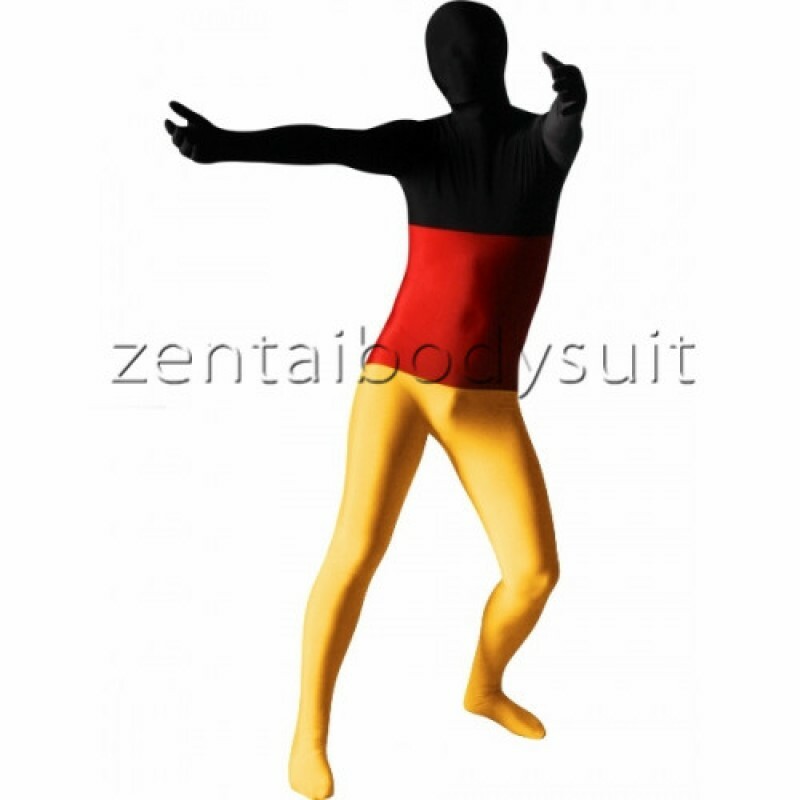 Germany Flag Full Body Lycra Spandex Close-fit high Elasticity Zentai Suits. Black, Red and yellow color with zipper on the back. This is our new style Germany fullbody suit. yoy can just choose a size and then leave the message about the size on the comment place.